Defense Secretary James Mattis met with his Southeast Asian counterparts at the former Clark Air Base in the Philippines to discuss security challenges and defense cooperation in the region, DoD News reported Monday. 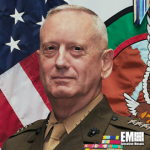 Pentagon spokesperson Dana White said Mattis attended the Association of Southeast Asian Nations’ Defense Ministers Meeting-Plus where defense leaders talked about regional security; counterterrorism efforts; and the need to impose sanctions against North Korea in response to the country’s nuclear tests. Mattis said the ASEAN nations want to increase the scope and complexity of defense exercises and that the U.S. government works with regional partners to boost maritime security capacity in Southeast Asia, according to White. The defense secretary also participated in the ninth Trilateral Defense Ministerial meeting with his Japanese and South Korean counterparts to discuss security cooperation and condemn North Korea’s nuclear and missile activities. The three defense leaders agreed to bolster international cooperation on the implementation of U.N. Security Council Resolutions, including a resolution to impose sanctions against North Korea following its sixth nuclear test on Sept. 3. The ministers voiced support for efforts to expand information sharing on North Korea’s nuclear and missile threats as well as continue missile warning and anti-submarine warfare exercises.